The International Group of Advanced Learning is made up of several small to medium-sized enterprises (SMEs) each having experience in a specific business or education field coming together to give young professionals, senior professionals, and corporate employees a chance to get and stay ahead of the competition. We use a learner-centered approach to teach curricula that are based on what is actually happening in the business market today. Our students and faculty members appreciate the Blackboard course management system that is filled with advantages from getting course material in seconds to interacting conveniently outside of class. 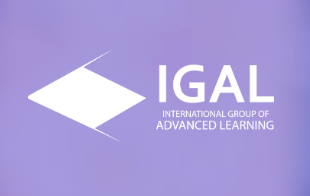 IGAL is clearing a path to become one of the top 5 accredited academic institutions offering convenient learning solutions for professional training in the Middle East and North Africa regions.